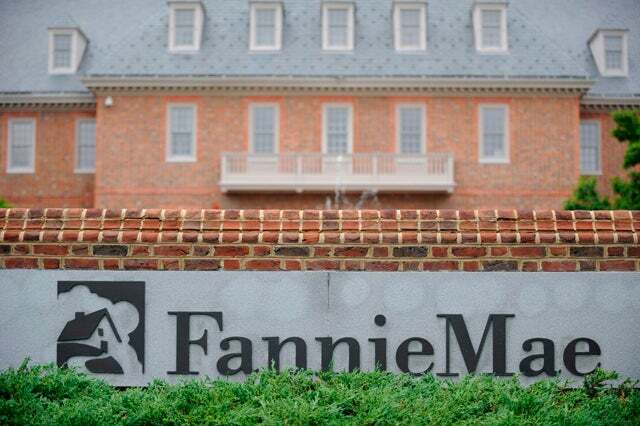 The federal government reports hundreds of billions of dollars in revenue from mortgage giants Fannie Mae and Freddie Mac off the federal budget. In what might be considered creative accounting, Washington subtracts this revenue from spending and subsequently undereports federal spending. Even worse, trillions in taxpayer liabilities are completely off the books. “Profits paid to the Treasury in 2013 alone have resulted in federal spending and deficits being underreported by more than $100 billion,” Heritage Foundation expert Romina Boccia explains. Since they were taken over by the federal government in 2008, Fannie and Freddie have paid more than $203 billion in profits to the U.S. Treasury — all of which is the Treasury is keeping off the federal budget. Failure to consider the GSEs’ mortgage guarantees in budget reporting puts taxpayers on the hook for a taxpayer bailout of mortgages in the future without accounting for those risks today. Taxpayers are ultimately responsible for the nearly $4 trillion in GSE guarantees. Do you think our government should get its accounts in order? The Liberals in the government will to anything to try to fool the American people about the cost of government! I think congress should have term limits. maintaining our roads, and foreign policy. Yes. I was raised to live within my means as most sane people were. Accounting is required to achieve that. You would think the leaders of our country would lead by that example. Unfortunately we are seeing the results of incompetent and/ or self serving leadership. That cannot be sustained. Governmental Accounting does differ from private sector accounting but don’t believe anyone who tells you money went missing. State and Local Governments must follow accounting rules as set by the Governmental Accounting Standards Board (GASB). The federal government follows rules promulgated by the Financial Accounting Standards Advisory Board (FASAB). Sadly, no rule gets passed by the FASAB without the consent of the US Treasurer, the Comptroller General and the Officer of Management and Budget. It is like the fox guarding the hen house. Even the good ones are not independent. The worst part of the accounting process is they don’t accrue all liabilities. To do so would surely bust the budget and lead to recognition of trillions of dollars of unfunded liabilities. When Government Sponsored Enterprises receive federal backing they enter the same fog as other federal accounting. If it isn’t on the books, there is no way to audit it. Among the worst violations within federal accounting policies is the lack of control over pension costs. Pensions are not fully funded. Contributions that are made to programs like Social Security are used to pay the pensions of current retirees, not invested for current workers. No government, no employer, no union should ever manage their own employee pension funds. All pensions should be managed by independent third parties where government has no access and contributions for today’s workers are made today. Pensions should then be based on the personal accounts of members, not as some defined benefit. We are choking ourselves to death because of federal accounting rules and regulations and it may already be too late to fix things if the number is as often described, someplace around $90 Trillion. If our gov. doesn’t correct this agenda driven magician’s accounting then it won’t be long before there’s, how can I say politely, crisis driven chaos. Federal government budgeting and accounting has been messed up longer than one can remember, and it purposefully misinforms everyone including our elected representatives. This includes off the books spending and programs, announcing as spending cuts actions that only cut the rate of growth, publicizing ten year spending cuts that are forgotten by the time the year to cut comes around. No one in D. C. is intelligent enough to comprehend the total budget or know where it can be cut; so they just continue to misinform themselves and the public–and our financial problems continue to grow at an increasing rate. One of the serious problems is no one in D.C. knows how to organize and carry out a constant cost reduction program for all branches of government–and there is the fear of not getting reelected or retained on the payroll. Ergo, the mess continues to get worse. Accounting that is deceptive to the tax payer is a scheme that shows the government is not only deceiving us , but are stealing from the people. Thievery is a crime and should be prosecuted by those who are twisting words. A continuing dilemma with honesty with regard to alleged maintenance of transparency. The Federal Goverment is responsible for maintaining a balanced budget…more so than its’ taxpayers are. Neither the executive nor the legislative branches are to be commended on the manner in which this country of ours is being slowly and assuredly financially decimated. To whom should we entreat now? Government accounting makes Enron look good!! People went to jail for the Enron mess. The purpose of an accounting system should be to provide an accurate picture of past income and expenditures along with future obligations so the managers can control expenditures and plan to meet the future obligations. The government system provides none of this. Off budget items = fire any and all who are involved in this theft of tax payer dollars. Surely this falls into big time theft! JUNK Freddie and Fannie ASAP – the crooks involved in these operations need to join the ranks of the unemployed line pronto! And yes, those in congress who are in on this stuff need to see a little jail time as well. Judas did it with a kiss – socialist in government do it through many taxes and theft of tax payer dollars they hide in secret agendas. The government should keep books in the same manner that the government expects citizens to follow. This means an income statement and a balance sheet. The income statement should have listed as expenses a reasonable amount to pay off “off balance sheet” items. All liabilities should be shown in accordance with standards of accoounting principles. Wonder what the two pages would look like? It’s been said by economic advisors and by politicians in the past, though I haven’t heard it for a long time, that Government should never be in the business of business. Government has no place trying what the private sector can and should be doing. Government has a history of getting it wrong. The finance market belongs to the private sector. Making laws and enforcing those laws belong to Government. Having Government in business is as wrong as having the private sector make the laws. When was the last time the federal government had any of its accounts in order? Nevertheless, doing so is long overdue. Better still, Congress should get rid of Fannie and Freddie and allow all of their mortgages, etc. to return to the private sector which will greatly improve the housing situation. This is something the government has been doing for many years to make it look good to the public. Democrats and Republicans alike. It’s time our government uses standard accounting procedures, just as each of us must do in order to pay our income tax. The government should shut down both Fannie and Freddie along with the FHA. There is no place in the Constitution that talks about the federal government providing home loans to anyone or providing subsidies to people so that they can buy a home or live in an apartment more cheaply than the tenant down the hall. All of these programs are blatantly unconstitutional to say nothing of allowing the federal government to control some 80-90% of home loans.